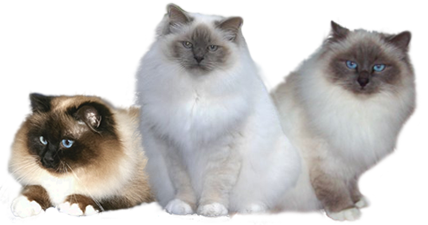 The Birman Cat Club holds an annual general meeting each year to elect an executive and committee to look after the interests of the club. We encourage all Birman breeders to be actively involved. We have a much coveted "Birman of the Year" title awarded to those Birmans that have excelled on the show bench for the calendar year. Members are to forward their Birmans award certificates to the club secretary to participate in this competition. Membership applications are available here. Membership renewals are due 30th July each year, form here. Members must agree to abide by the club's constitution. Code of ethics which our members are bound to abide by.